Shern had such a blast of a day on Saturday. 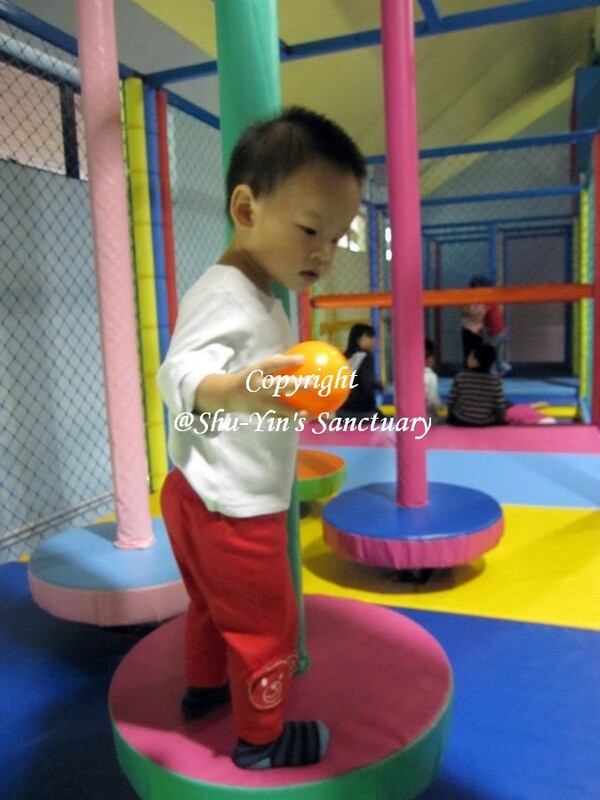 It was actually Chao-Chao's birthday, but Shern was so happy that it was as if his birthday! My cousins invited us to join them to Adventure Zone for Chao-Chao's birthday. Since we've never been there, we were kind of in awe when we saw the place. I've heard about the place, but I did not image that the place is so 'canggih'. First of all, the place is air-conditioned. 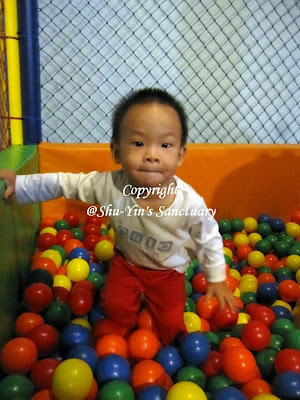 Playing with no sweat, great! 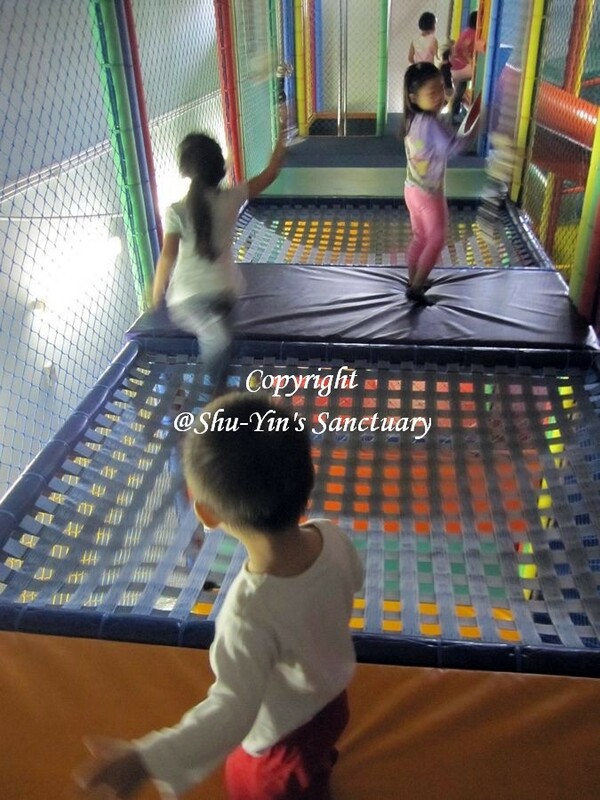 The place is not huge, but provides more than enough activities to keep everyone happy. 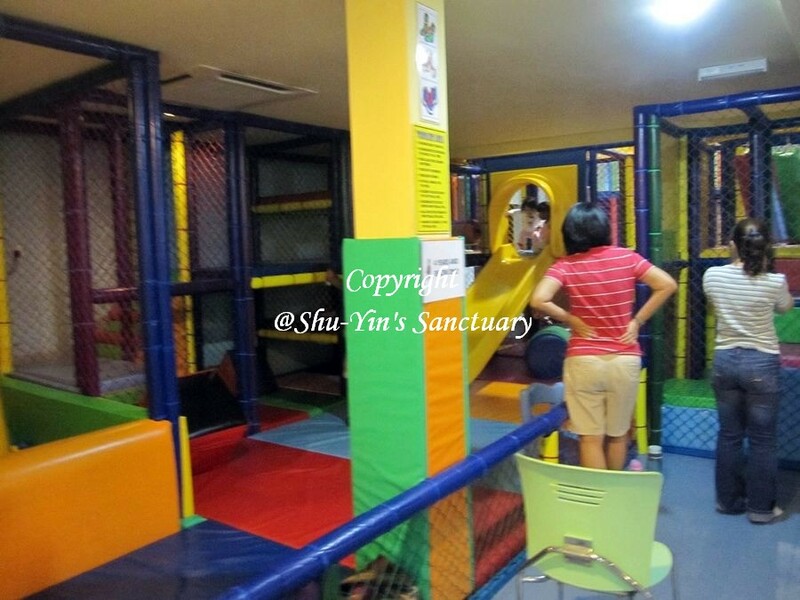 And the whole place looks very child-safe with padded floors and walls. 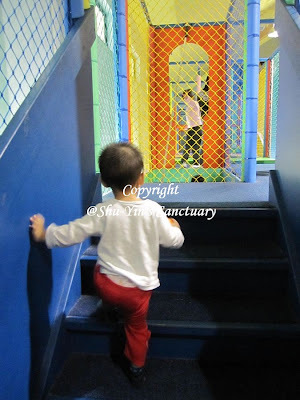 And the best thing about this place is that the scale of the place is big enough for adults, which means that I don't have to bent and duck through everything. And not be afraid of being stuck. Haha. I could enjoy it as much as Shern. Look at the red slide. It's called the 'Demon Drop' slide and is a vertical drop of 24 feet spanning 75 feet! Hair-rising! And nope, none of us tried that! 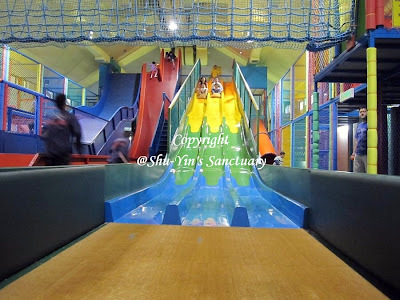 We took only the harmless slide of all, the 'Hyperglide Astra Drop' slide (the multi-coloured slide) which has a height of 18 feet and a length of 50 feet. 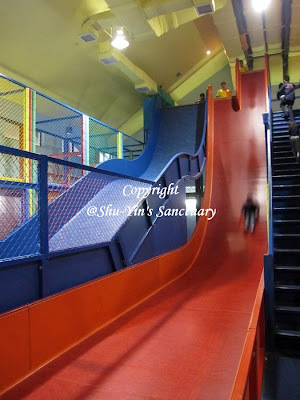 It's actually pretty fast, too fast for me and I kinda freaked out even after a few times. Shern however was not afraid and he wanted more after the first try. 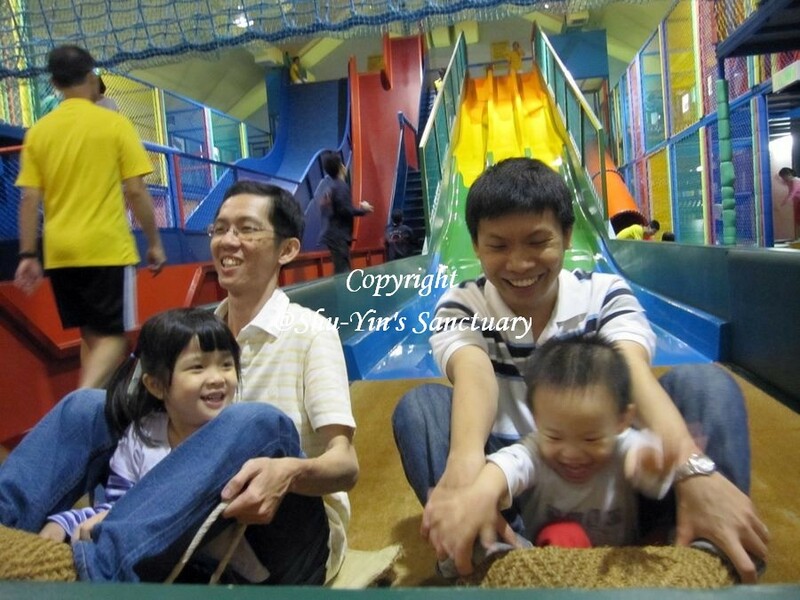 After a few times, hubby was the one who took Shern down the slides many more times. 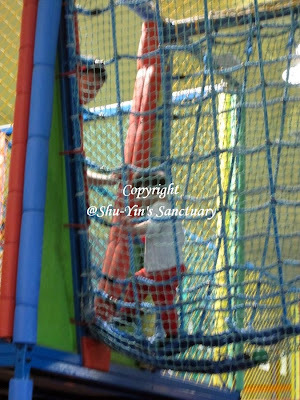 I am on the left, with Shern in front of me. Cousin & Chao are in the middle slide. 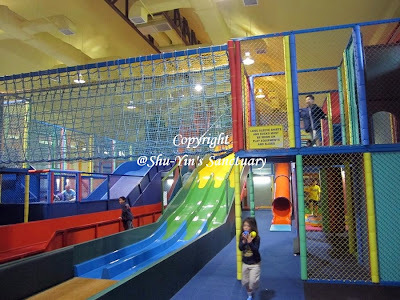 This is the 'Toddler Zone' caters to children of 4 years' old and below, offering modular play equipment that include a padded corner climber, a spinning disc, an "over under hurdles", a tumble tower, a padded ramp, a ball fountain, a ball pool, "swinging snakes," bish bags and a play kitchen. 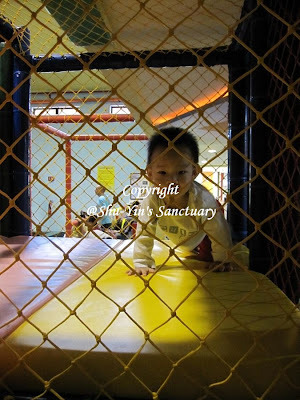 Shern spent quite some time here too. 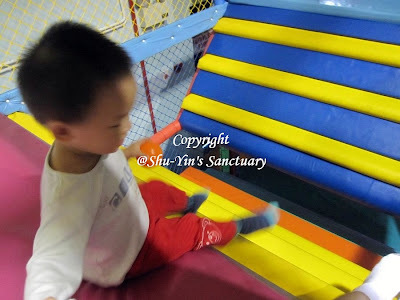 He loved the ball place (1st photo) and could climb up the padded steps and down the slides himself. But he was also up to the challenge of the zone for older kids next slides. 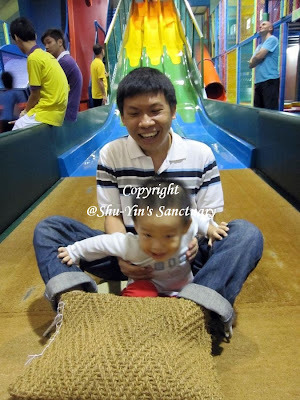 But I could see that Shern is most happy when he was playing the slides. You need to take the rug down the slide. And as Shern is still small, an adult has to accompany him down. 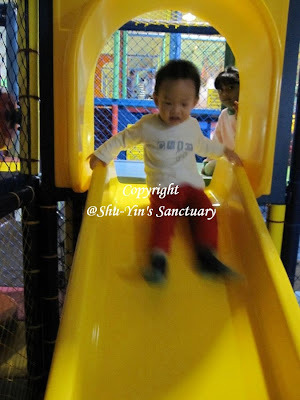 Look at his ecstatic face as he slid down the slide. Shern having a ride down the slide with mummy. 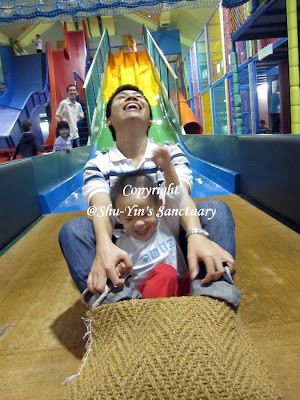 Mummy is scared, Shern is ecstatic! 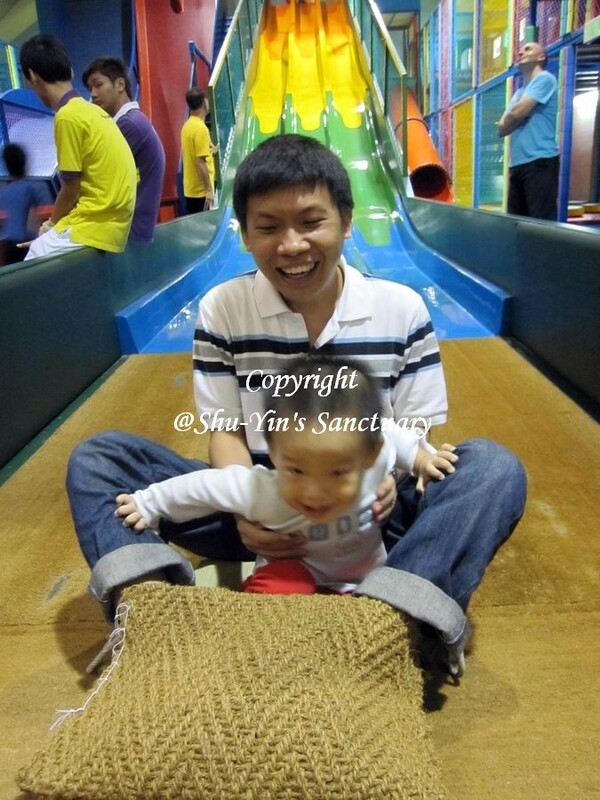 Shern having a ride down the slide with Daddy. 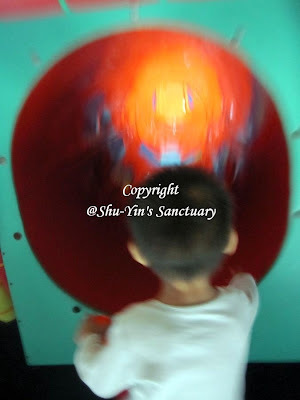 Taking the slide with Chao-chao. I love this photo. 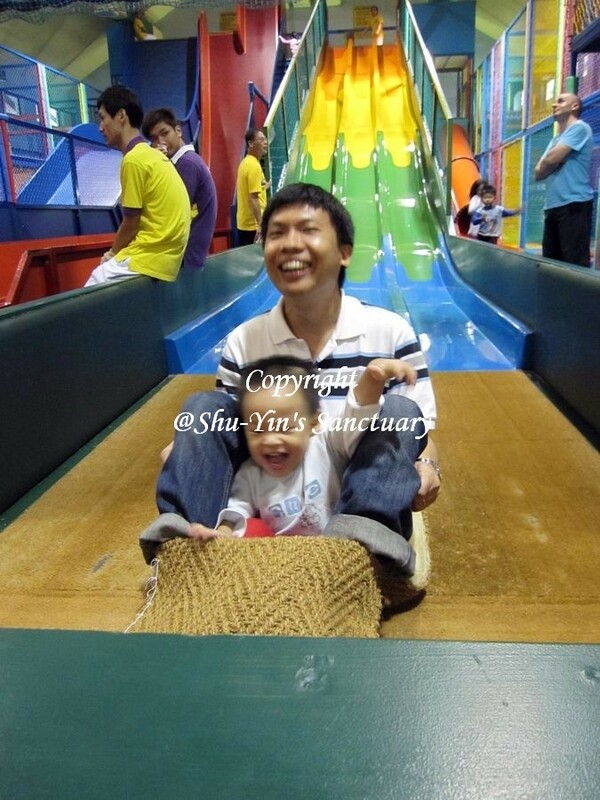 Hubby and Shern looking so happy after a ride! 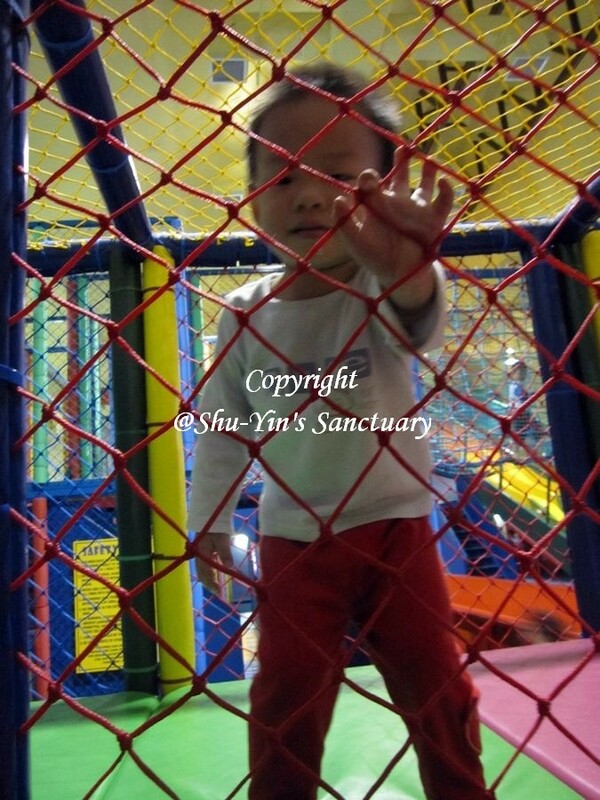 I was amazed that even without his afternoon nap, Shern played for the whole 2 hours there! 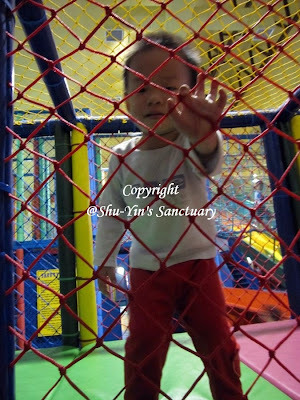 And after the session, he dozed off in the car but woke up after 5 mins when we reached our dinner place. And he whined throughout the whole dinner. 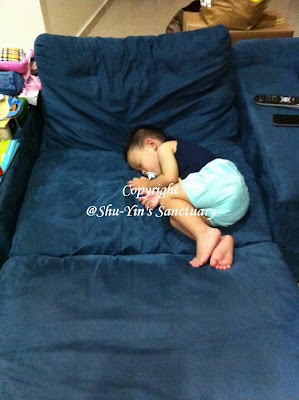 After that, he just slept wh en we reached cousin's house and so he missed the cake-cutting and candle-blowing session! He was really, really tired! And oohh...Happy Birthday again Chao-Chao! Thanks for a lovely day! 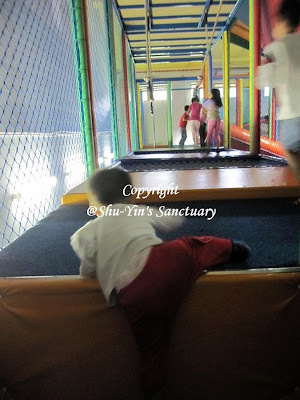 Child has to wear socks at all times and long-sleeved shirt if he wants to take the slides. Adults has to wear socks at all times.